Ashley Schroth-Cary is a whole foods nutritionist who studied at Bauman College and San Francisco State University. Her background is in emergency medicine where she worked as an EMT/firefighter and a ski patroller. She found her true calling as a nutritionist and has never looked back. 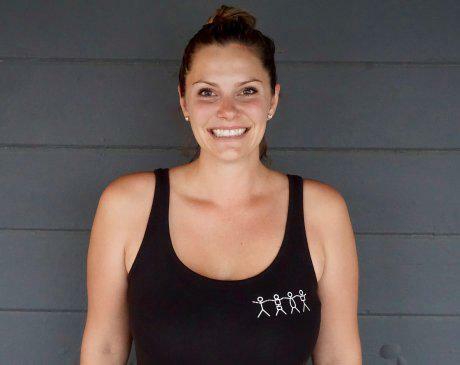 She has spent the last six years helping build a lifestyle program in Santa Rosa as well as starting a nutrition program at a functional fitness gym. There she sees clients, teaches group workshops and teacher TRX classes. She is passionate about helping people eat healthier, train better and stress less. When she isn’t working, she enjoys being with her 2 young daughters, husband and dog, usually doing something outdoors. She has a passion for healthy cooking and loves to help others ignite their passion as well.